People fall in love, marry, divorce is not a rule, but, unfortunately, many beautiful love stories end with a not-very-nice divorce. Even for mutual consent to divorce is difficult, but if there is no agreement and understanding doubly difficult. If the divorce is by mutual consent and former spouses have no joint minor children and property claims, to issue the divorce in the registry office. If the spouses have a dispute about children, property division or just one of the spouses does not agree to divorce, then litigation can not be avoided. You need to understand that the law can't compel spouses to keep the family together, but may allow time for reconciliation, this is the only obstacle to freedom in the way of women. Man, without the consent of the wife cannot obtain a divorce in the case of pregnancy of the spouse and until the child be performed one year. Other restrictions the law does not provide. If one spouse does not agree to a divorce, the spouse who wishes to gain freedom, should send a statement to the court at the place of residence of the family, the application must attach the receipt of payment of the state fee, a copy of the marriage certificate. The court considers all the circumstances of the case and heard the arguments of the parties, if the court has doubts about the impossibility of cohabitation, the court may be postponed the trial for up to three months. If after the deadline, the reconciliation did not happen and one of the spouses continues to insist on divorce, the court has no right to refuse a divorce and needs to make a decision on the termination of marriage. If the spouses have minor children and marital property, then simultaneously with the petition for divorce you can apply to determine the place of residence of the children, division of property, assignment of maintenance payments to children. The application should attach copies of documents of title to the property, the certificate on birth of children. Many spouses do not wish to divorce simply ignore the court session, but it is not for the court circumstance preventing divorce. 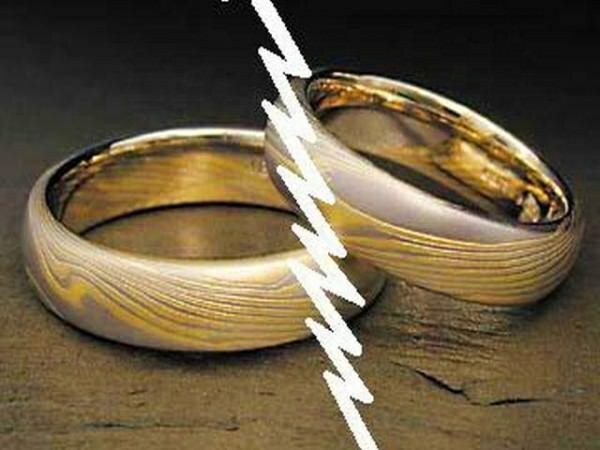 After three one-time non-appearance of one spouse at the hearing, the court will decide on dissolution of marriage, division of property, decides the issue of children without participation of the other spouse. The termination of the marriage is the entry into force of the court decision. After three days from the date the decision enters into force, the court sent an extract from the court decisions in the civil registry office for registration of divorce in the book of records of acts of civil status. A divorce certificate issued by civil registry.